Over the last few seasons Summer bags have gained tremendous popularity and Natural bags have come into the spotlight. 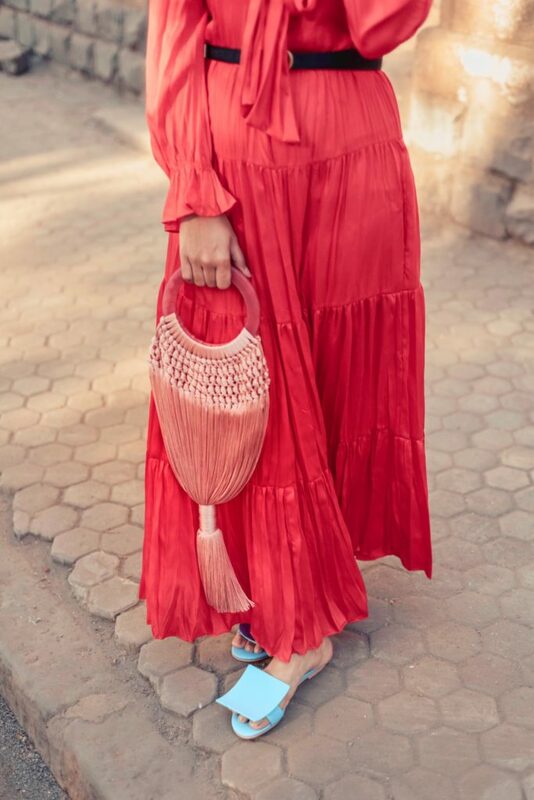 Raffia, Rattan, Straw and bamboo bags which are available in an array of different shapes and style still remain popular for this season. Moving on from this to another style which has gained momentum is crochet designs. Delicate crochet woven bags is the new summer bag to try. 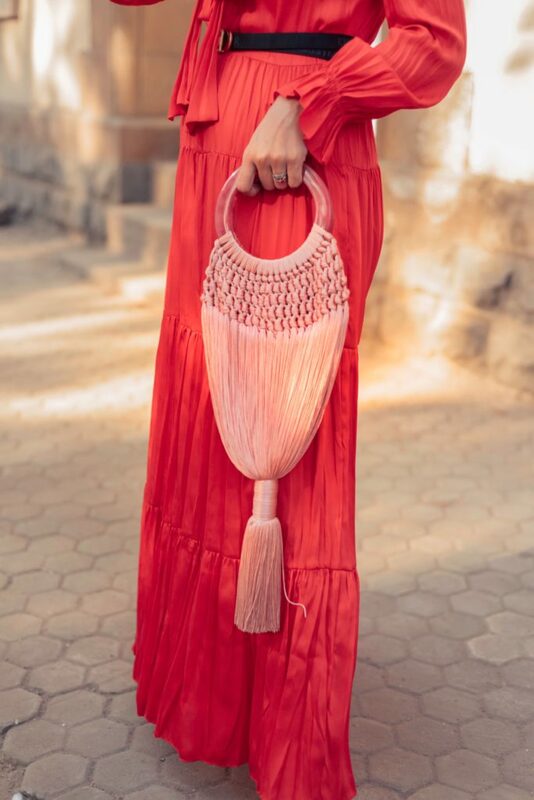 The Angelou bag from Cult Gaia features a crochet design with braided body, a fun tassel detail and bracelet bangle handles. 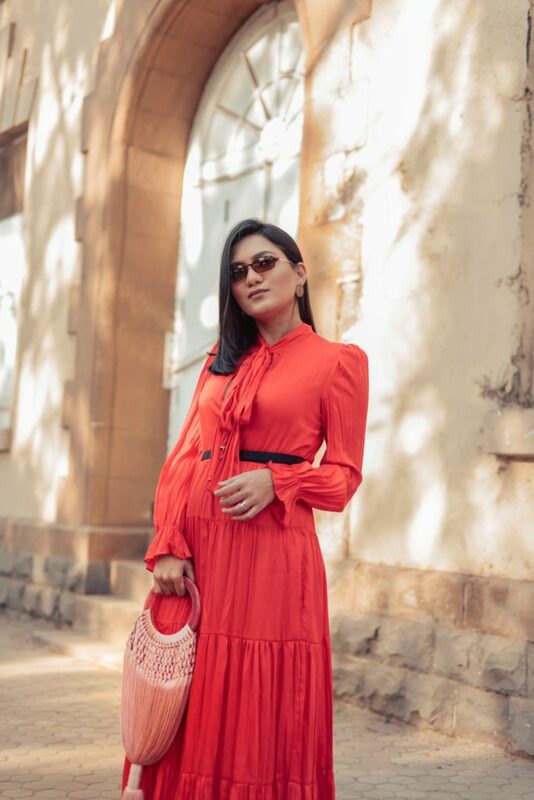 Another point I want to highlight about this bag especially if you are planning to invest in one is that it has a tightly-knit mesh interior to keep all your essentials safely inside. This is more of an artsy accessory perfect for a dinner date or a cocktail party in the city or while on a vacay. 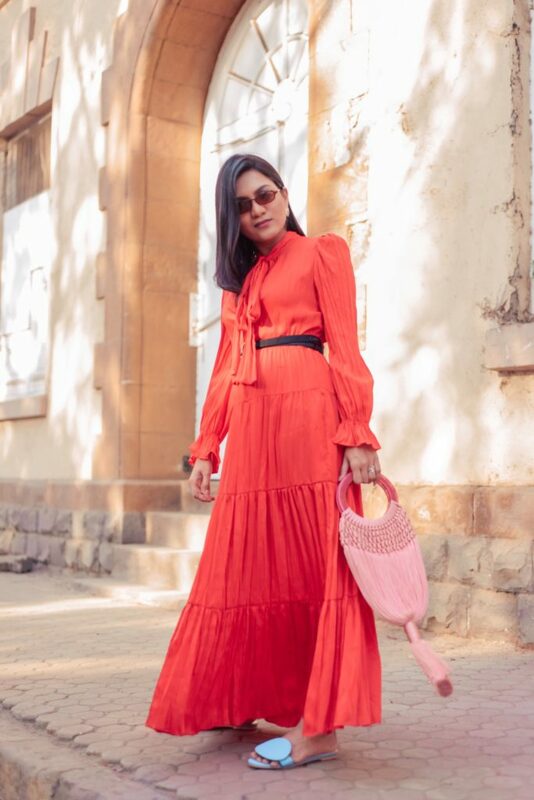 The best way to heighten its laid-back vacay vibe is by pairing it with a flowy maxi dress. 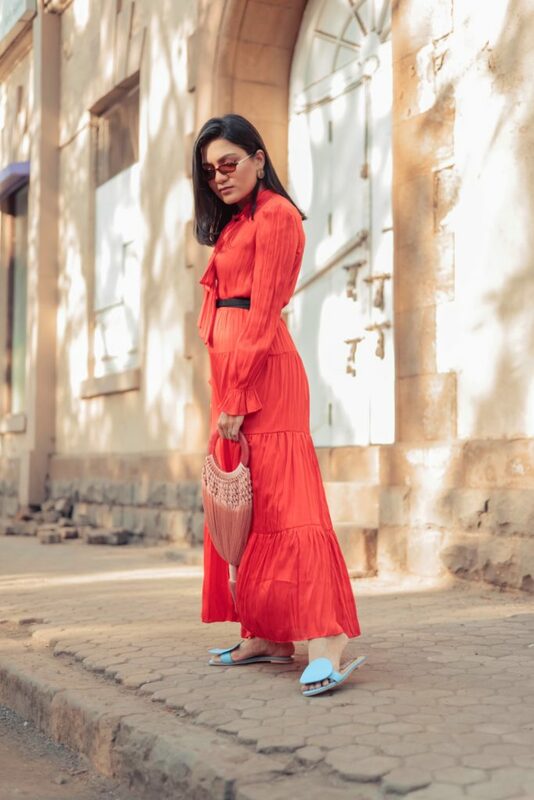 Adding to the vibe I paired this look with Jacquemus square round asymmetric sandals and Dior belt to add some definition to the silhouette.